Ravensara aromatica (sometimes called clove nutmeg) is a member of the Lauraceae (laurel) family, and originates in Madagascar. The name ravensara is a latinization of the Malagasy word ravintsara. Other Malagasy names include havozo, hazomanitra and tavolomanitra. 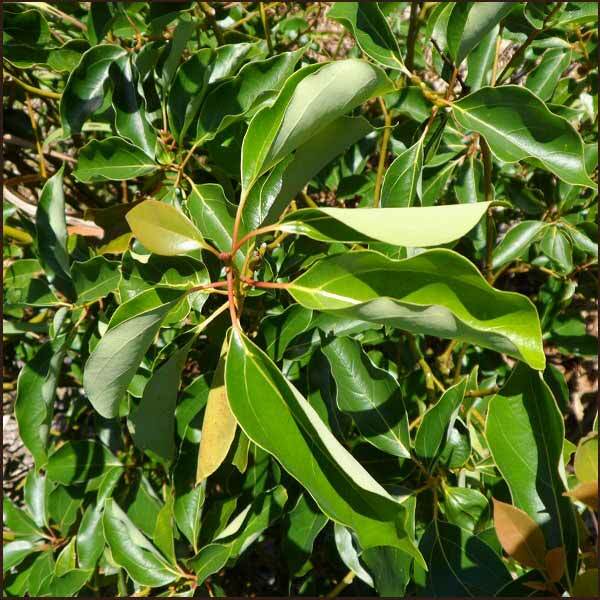 The leaves and twigs of R. aromatica have a mildly camphorous aroma similar to eucalyptus. The essential oil of R. aromatica is used as a fragrance material in the perfumery industry, and as an antiseptic, anti-viral, antibacterial, expectorant, anti-infective in natural and folk medicine.